Diamond Saw Blade, TCT Saw Blade, Grinding Wheel, Drill Bits, HSS Tool Bits – Danyang Sinodream IMP&EXP Co., Ltd.
Danyang Sinodream IMP&EXP Co., Ltd. is afliated to Dongri Group, the main business is importing and exporting elevator, machinery, and automobiles parts, diamond sawblade, alloy saw blade, many kinds of drill bits, cutting tools, grinding tools, power tools and small garden tools. Our products are exporting to the United States, Europe,Middle East and southeast Asia and many other markets. Jiangsu Dongri Machinery Co., Ltd.
A high-tech company who specializes in elevator and escalator parts, machinery parts, auto parts, and hardwaretools and power tools development, manufacture and trade.The company's production bases are located in Shanghai,Guangzhou, Chengdu and Danyang. The base covers 20000 square meters, construction areaaccounts for 8000 square meters. We have more than 100existing staff, including 10 senior engineers and 15 intermediate technical specialists, with over 20 large-scalemachinery and equipments. Diamond sawIblade, alloy saw blade,many kinds of drill bits, cutting tools, grinding tools, power tools and small garden tools. 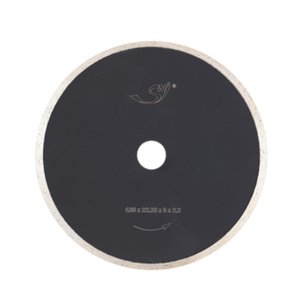 Diamond saw blade, alloy saw blade,many kinds of drill bits, cutting tools, grinding tools, power tools and small garden tools.